British Food, is it as bad as it’s reputation? When I first moved to the UK thirty years ago, all of my American friends made comments to me about unpleasant, tasteless British food. Whilst that reputation might have been well-earned in the 1960’s and 1970’s, I doubt anyone could say that now. 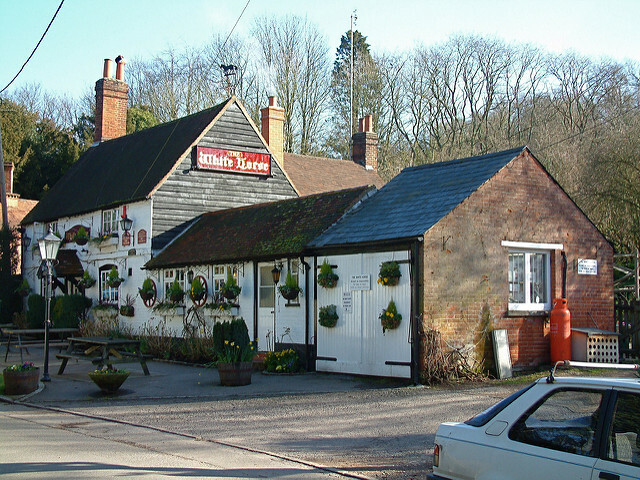 These days British restaurants have won multiple awards for quality and cuisine. And come on, just how adorable is Jaime Oliver? I remember him as a kid chef storming onto the world stage and making British food cool to eat. As British people tend to travel to exotic places far more than the Americans do, they bring back the flavors of the countries they visit with them. 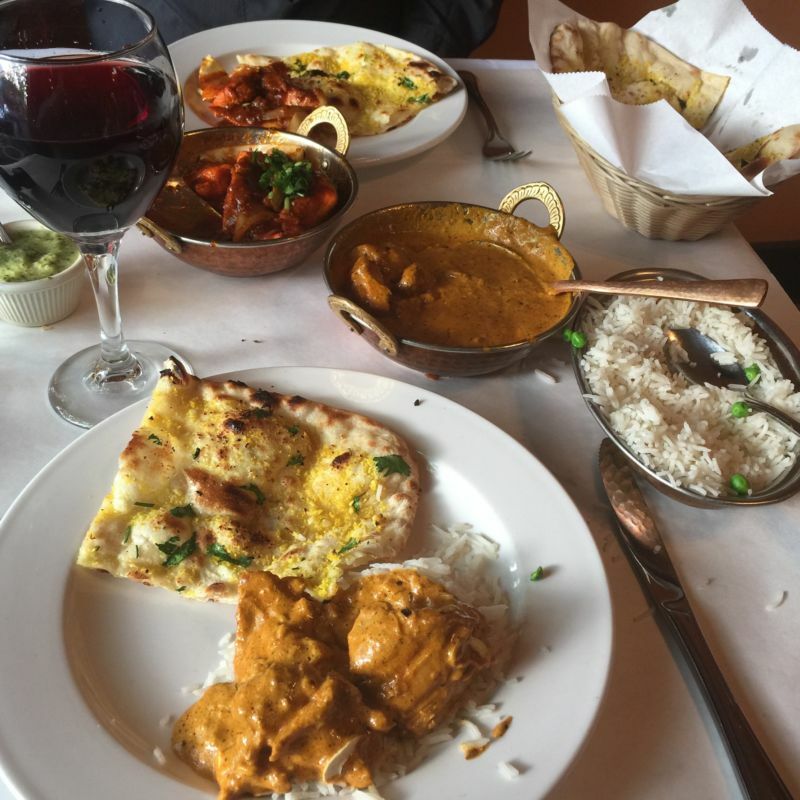 In fact, curry, actually Chicken Tika Masala is the UK’s national dish. They simply will not accept tasteless bland food any longer. Because of this, traditional pub food has had to move with the times and get a bit of a makeover. Modern British food, like American food is a bit of a mix of tastes and cultures from all over the world. Unlike its older versions it has plenty of spice and wonderful rich flavors. 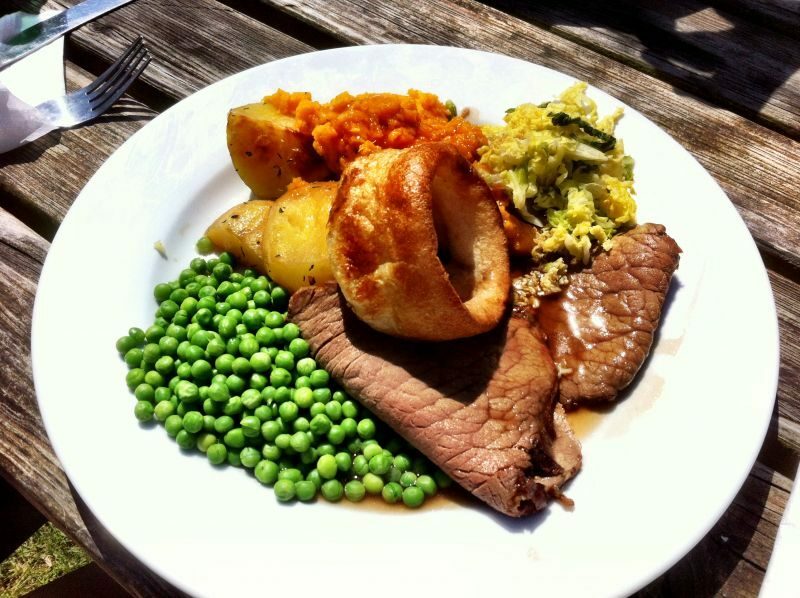 In this post, I am going to talk about traditional British food. While The Brit and I were in the UK eating in pubs, I thought that I would photograph the food that we ate so that you can see what the food there is really like. The dishes are pretty different to what we have in the US. I guess the closest thing we have to it is “bar food” in all of its versions. 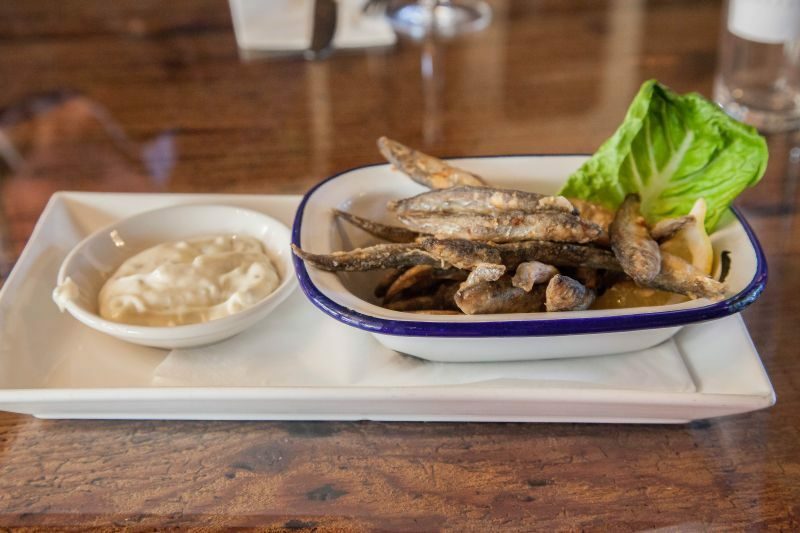 Some great, some well..
At a pub in Rye, I had a dish called whitebait. This is a traditional dish which are tiny fish that are fried and served hot with a side of tartar sauce. I pulled the heads off and ate the rest of the fish whole. I couldn’t get over the idea of eating the heads so I left those. I have to say that they were delicious. They were both tender and crispy with nice flavor without being too “fishy”. The Brit comments: Tradition dictates that they should be eaten whole, but I agree with California Girl’s unconventional approach. 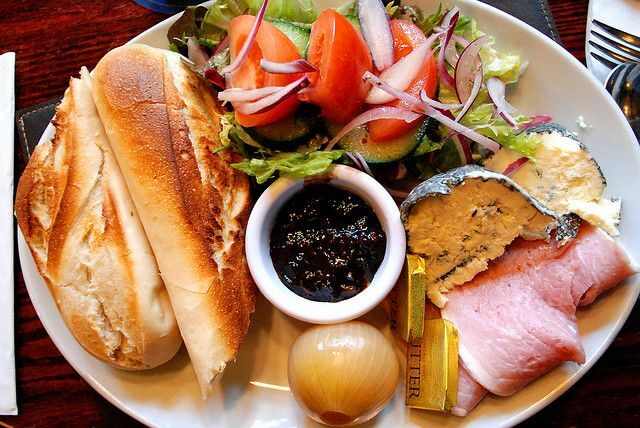 One of the other traditional lunches in a pub is a Ploughman’s lunch. It is usually a plate of meat, cheese, pickled onions, salad, and bread and usually some form of pickle (Usually Branston Pickle). Wikipedia says this about Branston Pickle: Branston Pickle is sweet and spicy with a chutney like consistency, containing chunks of vegetables in a thick brown sticky sauce. It is commonly served as part of a ploughman’s lunch, a popular menu item in British pubs. It is also frequently combined with cheddar cheese in sandwiches, and many sandwich shops in the UK offer cheese and pickle as an option. It is available in the standard ‘chunky’ version, as well as a ‘small chunk’ variety, which is easier to spread on to sandwiches. Convenient squeezy bottle packs are also in the range, along with a ‘smooth’ recipe. Branston also has flavoured pickles including Sweet Chilli and Beetroot flavoured pickle. The Brit comments: What California Girl fails to note is how unpleasant she finds even the smell of Branston Pickle. On the other hand, I love it with ham and cheese. I think this is one area where she would think that British food does deserve its reputation. Yes, Brit, you are right there. I make him brush his teeth immediately after eating said offensive item or no kisses from me. I think it is in our marriage vows somewhere. 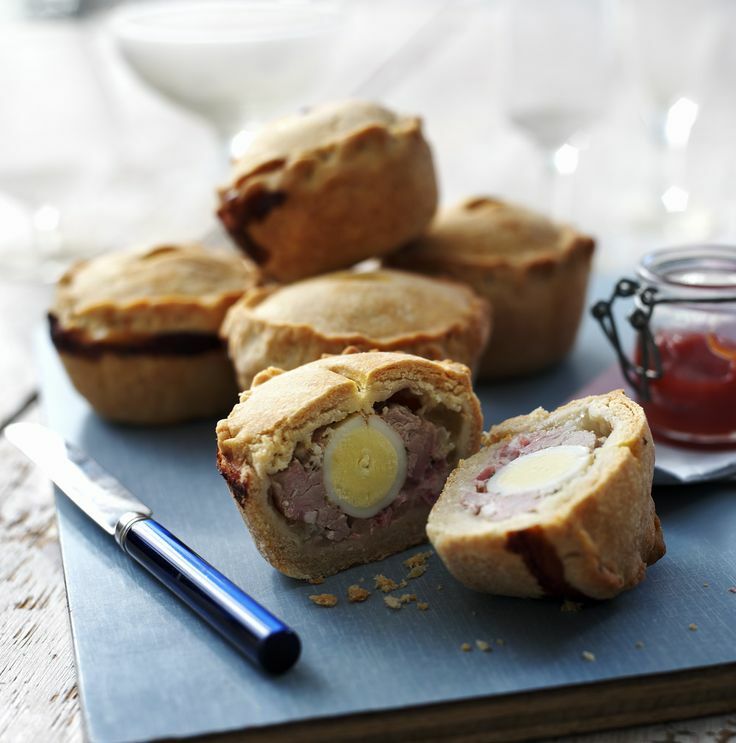 Pork Pies are another one of those menu items that Americans just won’t get. It is a very traditional dish of minced spiced pork, wrapped in a short crust pastry. Sometimes there is a hard-boiled egg baked into the center of the pie. I have to say, that these aren’t something I particularly enjoy. It is one of those dishes you have to grow up with for it to be great. The pastry tends to be heavy and the interior of the pie is a little odd in texture. These too are traditionally served with Branston Pickle or piccalilli/chutney. The Brit comments: I was never a big fan of pork pies, but the final straw may have been seeing one of the biggest pork pie factories in Lincolnshire located next to a crematorium; that raised questions to which I did not wish to know the answer. The next dish I am going to talk about is the traditional roast dinner. It is something that pretty much every household makes or eats out every single Sunday (even in the summer when the sun decides to shine). It is usually a roasted meat, Yorkshire pudding, roasted potatoes, peas, and other veggies. Yorkshire pudding is a batter/similar to a Jewish popover. It is made by pouring the batter into hot fat and baking it at a high temperature which makes it rise quickly. It does the same job as our biscuits or bread. It holds gravy and it helps fill you up so you eat less meat. I used to make this quite often when I was in the UK. Maybe it is due to the cold damp weather that I wanted heartier food. These days I can name on one hand how often I make this for us. Another gem of the traditional British palate is a Scotch Egg. 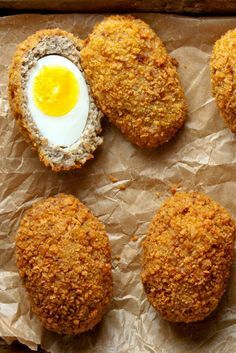 A Scotch Egg is a hard-boiled egg that has been coated in ground pork and then rolled in bread crumbs. It is then either deep-fried or baked. People do love these. I have never gotten the taste for them, but they are very traditional. I think it is the “California Girl” in me that just can’t wrap my mind around them. One of my favorite British dishes is a Cornish Pasty. 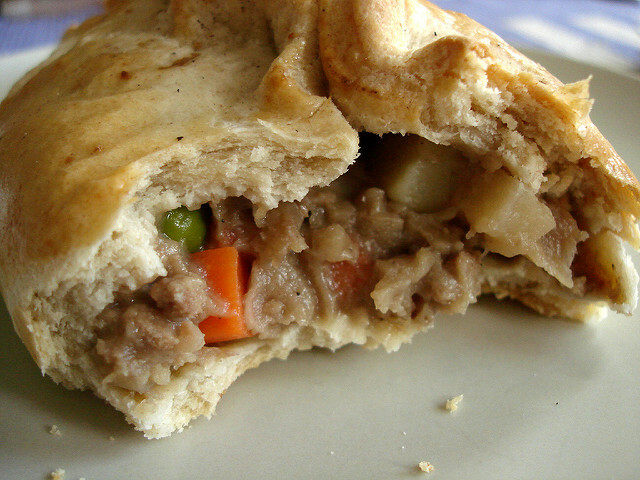 It is a hand pie stuffed with beef or lamb, carrots, potato, onion, and peas. They are normally wrapped in a light short crust pastry and are baked until golden and delicious. These were the traditional fare of Cornish miners who would take them down the mines as their meal for the day. Back in those days, they had two distinct sides. One was savory as I just described, the other was filled with fruit to make up dessert. Yumm yumm. A good Cornish Pasty is something to behold. The Brit comments: A good Cornish Pasty may be something to behold, but I would strongly recommend that visitors take California’s statement as fact and not try to prove it. The chances are that you will be disappointed by a Cornish Pasty, as the dish is far more often executed badly or indifferently, than well. 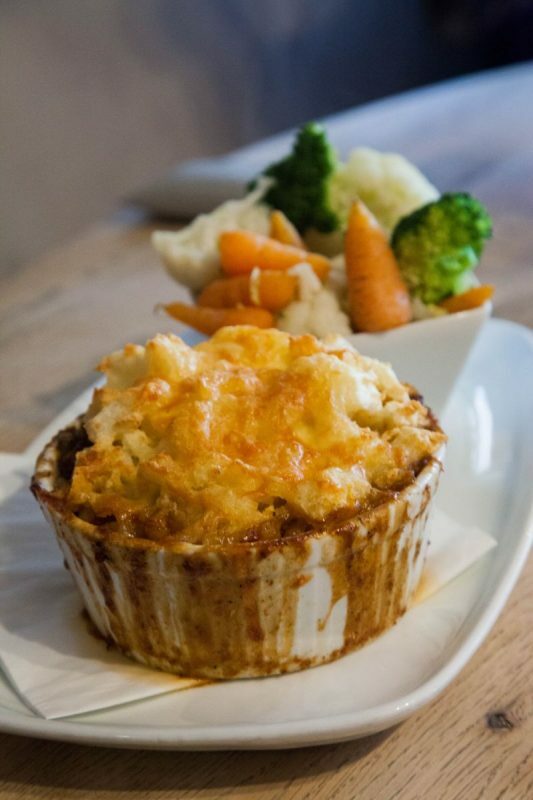 Shepherds Pie is one of those quintessential meals that is a staple of British cuisine. If you want to create ire, just suggest making shepherds pie with beef rather than lamb to The Brit. Shepherds pie is dish of minced lamb and onions in a brown gravy topped with mashed potato and baked. It is traditionally served with peas and carrots. Comfort food at its best. The Brit comments: I am not sure that ire is the correct word; that seems far to mellow a word to describe the righteous fury unleashed by menus that list beef in Shepherd’s Pie. The only way to prompt a more extreme reaction would be to ask what vodka I wanted in a Martini and then serving it shaken and not stirred. For breakfast British people have something called “The Full English Breakfast”. This breakfast includes: a fried egg, bangers (sausages – usually pork), rashers of bacon (UK bacon isn’t like ours, they are strips of pork with very little fat from a different part of the pig. I have never seen British style bacon sold in the US, although you can get British bangers fairly easily. ), fried bread (bread that is literally fried in oil or fat), sautéed or grilled mushrooms, baked beans (only Heinz brand will do), and finally a grilled tomato. Slices of toast are served on the side in a rack with butter and marmalade. On the side, is served ketchup and HP brown sauce. Just to add a note of authenticity here; there are those who say beans are a huge no-no for a Full English. I think it depends on what part of the country you hail from. 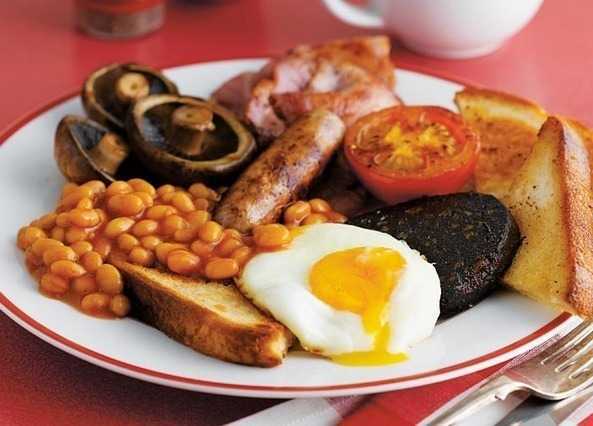 The Brit comments: Omitted from California Girl’s is a key component of a British breakfast, at least one served in the North of the country; black pudding. This was not left out by accident. California Girl has an odd aversion to this delicious mix of blood, fat, and ground animals parts. Um yeh, I also didn’t mention the tradition of eating deviled kidneys for breakfast. Yes folks, you heard it, a big old bowl or plate of kidneys for breakfast. Yumm (yuck!) I won’t even start on the “kippers” (smoked mackerel fillets) that are also a traditional breakfast food. My final dish is a traditional cream tea. It is usually filled with an assortment of finger sandwiches, tea, scones, clotted cream, jam, cakes, and of course a pot of tea. This is usually served about 4 p.m. These days it is more of a traditional treat, rather than something that one eats regularly. 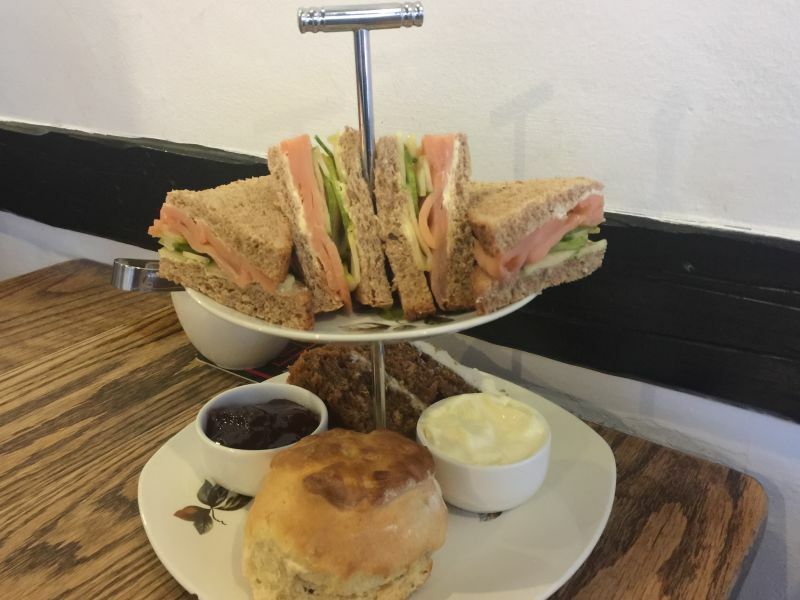 A regular tea is eaten regularly in the UK and is served at either 11 a.m. or 4 p.m. It usually consists of a pot of tea, and possibly a scone, a crumpet, a tea cake or a small sandwich. This is one of my favorite things to do in the UK, like brunch is in the US. Its that same level of decadence and treat. If you had any dreams of visiting the UK, now is the time to go. The British Pound is at an all time low against the dollar. I am headed back there in early March to see family. Watch out for more fun and exciting blog posts from there then. Ca Momi, Downtown Napa, Ca. HaHa! I love the commentary, photos and banter on this article! 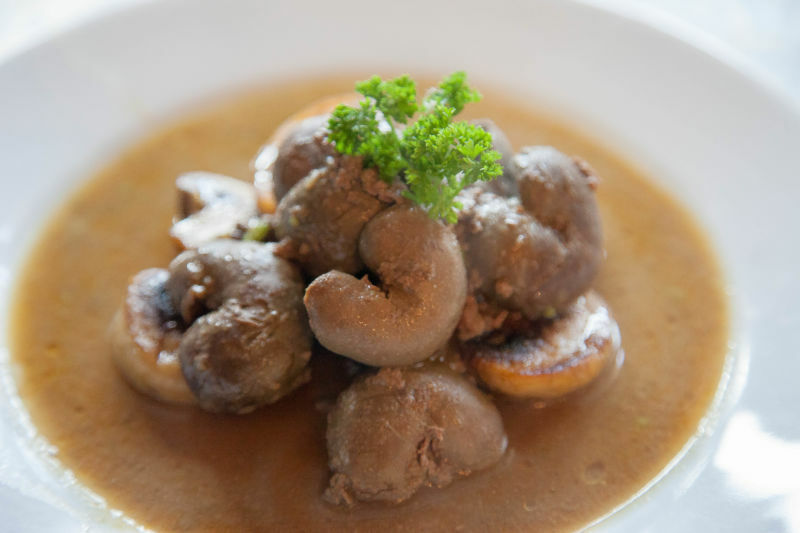 While I have not been to the British Isles for over a decade, the photos and descriptions of the cuisine create a need to try for TalesoftheCork. Well done, and I hope to read more of your visit.